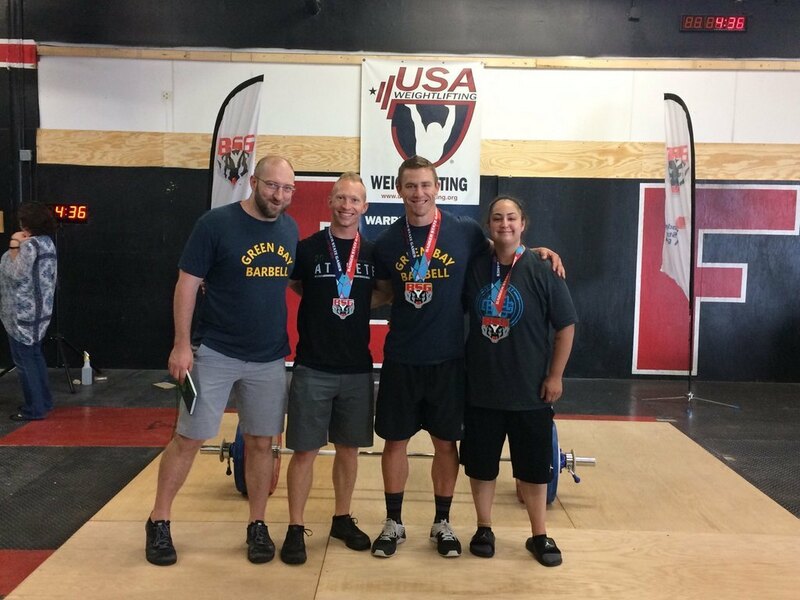 Green Bay Barbell represented well at the Badger State Games. We had one athlete lifting in each session and each athlete took home some hardware! Lily took Gold, Justin took Silver, Tori took Gold, and Chuck took Silver overall and Gold in his age group. If you’re ever interested in competing in the sport of Weightlifting ask a coach and we can get you on the right track! Yay I can do this at home 👊🏼 Good job GBBB athletes! First 5 RX, next 3 @ 135#. Low back tightened up. Couldn't catch my breath, it got hot! Part EMOM (8) - x2 each Power Clean at 175#. 40 dubs/10TTB. 12 min AMRAP. 7+18 dubs. 49:42 💦😅💦 Thats it! Yoga & XOSymm & Shldr MOB.